Nick Ferrand: founded the highly successful real estate agency Domus Nova in London in 1998. During the successful years of his tenure, he helped to contribute to a change in the perception of real estate agencies in the UK. The introduction of a modern approach to property details, advertising, objectives and a unique modus operandi ensured that Domus Nova became a centre of excellence in an unregulated industry. 2003 Nick left the United Kingdom to explore his passion for Italy. Three years later, with a wealth of experience, he founded Abode, a unique real estate agency specializing in luxury Italian real estate. It relies on the skills and attention to detail that made his British company so successful. Paul Cleary: moved to Italy in 1999, living in Cortona, and has worked in the real estate business ever since. Initially involved in the project management of ruined farmhouses, this gave him a wealth of invaluable experience in dealing with both the Italian system and the exacting standards of his international clientele. Since 2004 he has been devoted to the sale of real estate in Italy, registering as a real estate agent in the Province of Arezzo in 2006. Joining forces with Nick Ferrand in 2007, he deals primarily with the legal aspects of our property transactions, liaising closely with the notaries, lawyers, surveyors and banks involved in each sale. Carla Rossi moved to Italy in 1987 and has lived close to Città di Castello ever since. 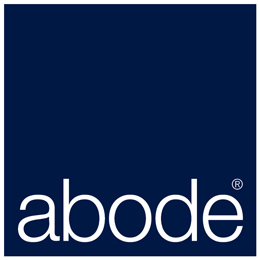 Carla joined the Abode team in 2012 but has been involved in the Italian real estate for nearly fifteen years; her capacity to deal with all aspects of the business, from initial client contact to renovation, make her an important addition to the Abode team. Victoria has a wealth of experience selling luxury real estate not only in Italy but around the world. Her time with Savills and Knight Frank in their international departments gave her a unique insight and understanding of clients requirements. Having lived in Italy, as a child and later running her own business, Victoria's in depth knowledge of Italy allows her to offer unparalleled help and advice for clients wishing to either purchase a holiday home or relocate.